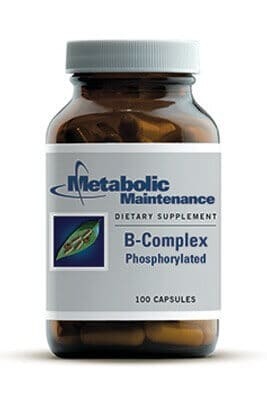 • Only highly bioavailable forms • The phosphorylated forms of vitamins B-2 and B-6 • Methylated forms of B-12 and folate B-Complex + combines our phosphorylated B-Complex with 800 mcg of our highest quality folate. Developed according to the recommendations of doctors most familiar with 5-MTHF, this comprehensive product eliminates the need for additional B-vitamin supplements. 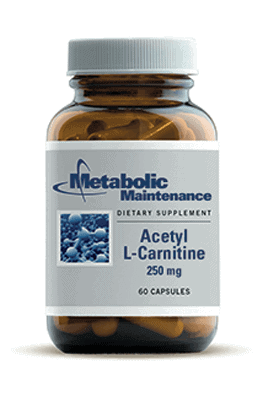 Acetyl L-Carnitine has the ability to cross the blood-brain barrier, where it acts as a powerful antioxidant. Its supplementation has been shown to be neuroprotective, and to support normal blood flow to the brain. It aids with memory and neuropathy. Research indicates that Magnesium Citrate is one of the most bioavailable forms of magnesium. Magnesium is used by the body to help maintain muscle and nerve impulses.